Offset thermography, also known as heat raised printing or raised ink printing, is not only beautiful to look at...it’s beautiful to touch! We’ve all run our fingers across elegant raised print and enjoyed the feeling of luxury. Now that luxury is available to everyone at an affordable price. With improvements in technology, thermography has become a practical alternative to standard printing. Once upon a time, special printing was reserved for exclusive projects such as fancy invitations. Today, thermography has a wide variety of applications, such as raised-print icons and symbols that embody the spirit of your product, service or business. 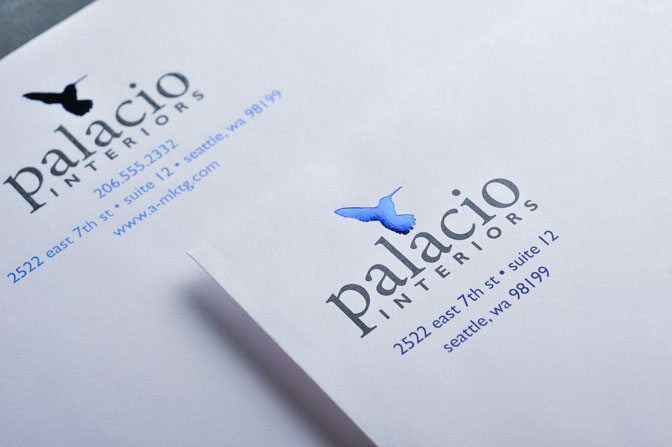 Think elegant script, trendy logos or union labels. Thermography can add the extra oomph you’re looking for to make a lasting impression. Consider thermography for invitations, diplomas, business cards, letterhead, envelopes, union bugs and special printing needs. Incorporating a raised ink union bug on your project is a guarantee of expertise and fair labor practices. Only authorized union printers such as Park Press can offer union thermography printing services. Raised Ink or thermography adds a sophisticated touch to your 1 or 2 color imprints! Select: Choose to have your artwork imprinted in Black Ink only, 1 Color or 2 Color. Down below, you will see the choices of Paper Stock Styles within each individual category to choose from (example: Bright White - Standard Bright White (80# Cover)). We offer a large variety. Choose your Ink Colors from down below. If you need a specific PMS ink color that is not listed, be sure to type in your desired colors. Choose your Options: Rounded corners, bleeds, close or exact registration, heavy ink coverage (covering 33% area of business card or more) or screens. Turnaround: Please allow at least 5-7 days for PMS color match orders. Standard colors can be shipped after at least 3-5 days. Turnaround time starts the day of proof approval if proof is approved by 3 PM EST or the next day if after. All turnaround times are subject to approval by our production department. If this is a Rush Quote please click the Add Rush Quote Form Button and fill out the form.